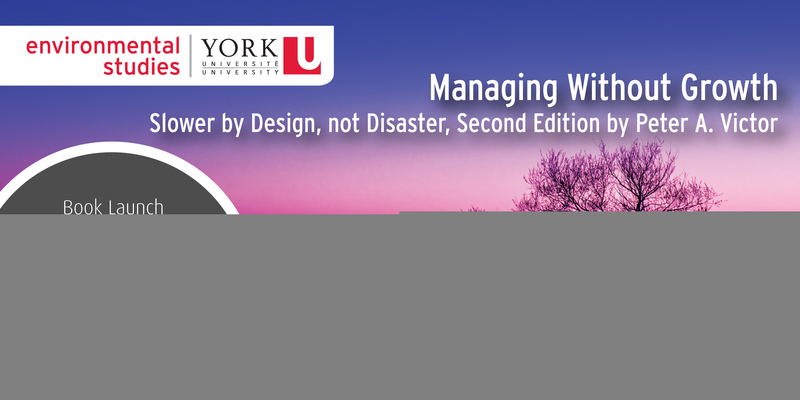 You and a guest are invited to join Peter and special guests David Miller, David Suzuki (live on video), and Karen Kraft Sloan for the book launch of "Managing Without Growth, Second Edition" on February 5, 2019 at Lula Lounge. The book launch is part of the 50th Anniversary Celebrations for the Faculty of Environmental Studies. All are welcome and encouraged to attend this complimentary event and celebrate Peter Victor and his profound and influential work. IMPORTANT INFORMATION: The only way to garuantee a seat at the venue is to make a reservation directly with Lula Lounge by phone or online at 416.588.0307 or lula.ca. A full dinner menu will be available for guests to purchase food and beverages.